One advantage of using a Spiralizer is the volume of food that is produced. A single zucchini produces a bowl of zoodles. You honestly feel as though you’re eating more. But instead of a big bowl of pasta, you’re eating vegetables. Saute those zoodles in a little olive oil with garlic, salt, pepper and a shake of red pepper flakes. Toss with pesto and top with grated Parmesan cheese, and you’ll be hard pressed to miss the pasta. 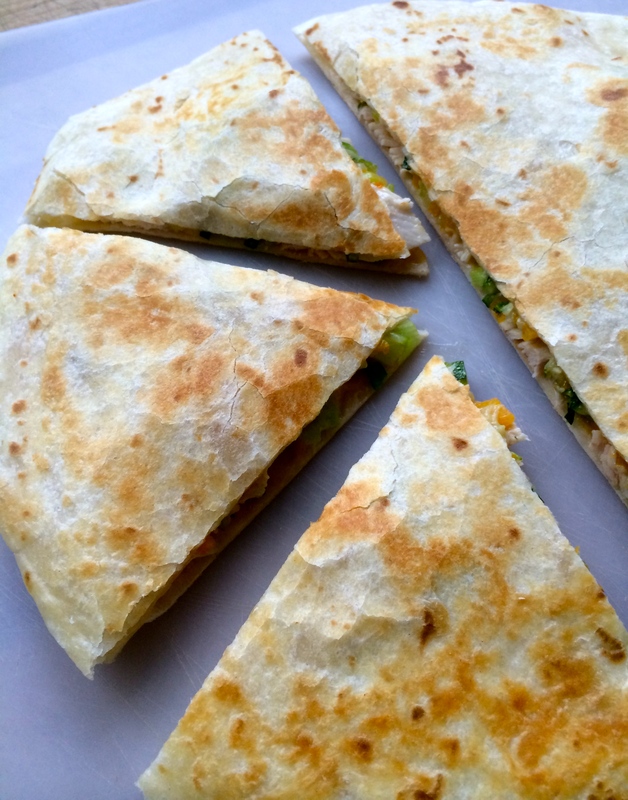 Having a bowl of cooked spiralized veggies (any combination of butternut squash, carrots, parsnips, sweet potato, zucchini, onion) and some flour tortillas in the frig means that you’re minutes away from great quesadillas. Just sprinkle some shredded jack or cheddar cheese on a flour tortilla. Cover the cheese with a layer of spiralized vegetables. Sprinkle another thin layer of shredded cheese over the veggies and cover with a second tortilla. Heat a tiny bit of oil on a flat grill pan or large skillet. Fry one side of the quesadilla until hot and crispy, pressing down on it to mesh the sides together. Flip it over to cook the other side. Slide onto a board and cut into wedges. Serve with salsa and sour cream. This entry was posted in Spiralized and tagged Spiralizer. Bookmark the permalink. Have you tried this on Michael? Sounds good. If we could just get the children to eat it.